Board of Intermediate and Secondary Education, Bahawalpur will announce the result in first of August-2018. The result will be available on the official website of Bahawalpur Board. Furthermore, the result will also be available on this website. You are recommended to visit for latest information about result. Last year, the result was announced in the month of August. 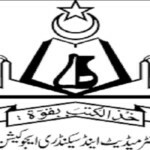 Therefore, it is expected that BISE Bahawalpur Board Matric Result 2018 will also be released in the month of August. You are suggested to visit this page. 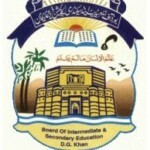 Punjab Government separated the Bahawalpur Division and approved the authorization of this Board as a separate Educational Board of Punjab in 1977. In 1979, the office of Bahawalpur Board was moved to a building of Daulat Khanna, then Revenue Board selected about 23 Acre plot of land for the Bahawalpur Board. The Board, according to its financial means built the boundary wall and a small and incomplete office building according to its financial means and the Board was shifted to this campus in 1985. With the increasing number of candidates and requirements, it was decided to build a new building for the Board in 1989. The office of Board was shifted to the newly constructed building in March 1993. The Administration of the Board consists of two sectors under which different branches are working well. 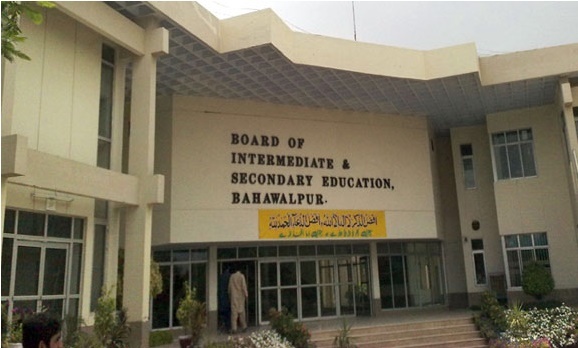 The districts which are under Bahawalpur Board are Bahawalpur, Bahawalnagar, and Rahim Yar Khan. The basic and most important responsibility of the Board is to take crystal clear exams timely and also the declaration of results on time. With the grace of God, the Board has been successful in fulfilling this responsibility. Formerly, the board had been holding exams of Matric and Intermediate classes of Oriental languages, OT/CT/PTC and Art. The Board has been holding all the said exams pleasingly and their results are also declared well in time. The admission forms for regular candidates are received mostly by the representatives of the heads of the institutions from the Board and forms for the private candidates are made available by the Board through the HBL Bank that is situated in Bahawalpur Division. The received admission forms are registered. Then they are classified as Regular, Private, group, district and Tehsil wise. We hope that BISE Bahawalpur 10th Class Result 2018 will be declared in the ending dates of July or first week of August 2018. Expected date of Bahawalpur Board Matric Result is 20th July 2018. Once the result will be issued officially we will upload it immediately right here on this page along with the BWP Position Holders. BISE Bahawalpur 10th class result 2018 is announced the prize distribution ceremony in which the names of the position holder students of matric class part 2 are also announced. Top students will be awarded the with the cash prizes, medals, and scholarships in the ceremony. All the candidates those who have appeared in the annual examination of the matric 10th class under the supervision of the Bahawalpur Board must stay with us to download the result here. The exact date of the result will also be uploaded at this page after the confirmation of board’s official news. You must Keep updated yourself with the latest updates of result right here. Supplementary examination will be expected to hold in the month of September. We wish Good Luck to all the students of the 10th class.